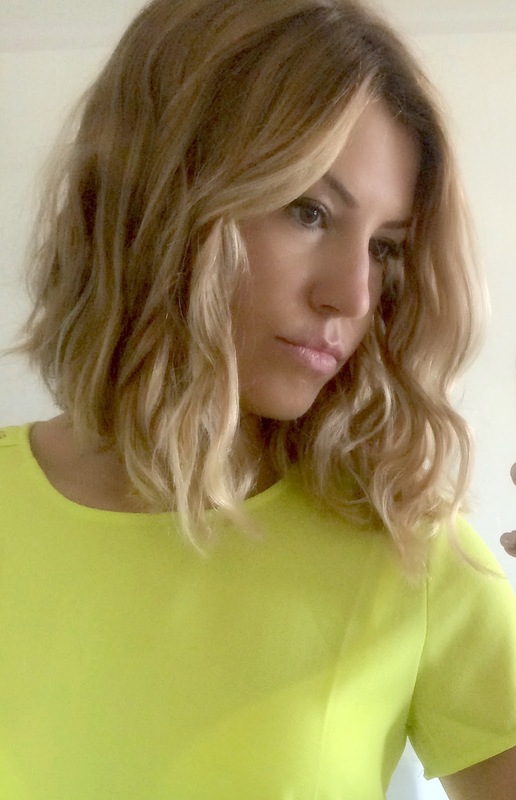 What do you think of the hair? These are salt-water waves and I think it is just the best 'product' for making your hair go wavy without burning it with tongues and wands of every inch of its life. I had been swimming in the sea the afternoon before, had let it dry naturally and then slept on it - this was the result - one of those fluke-hair days when it just decides to go right for a change. Okay so this another post with my amazing iPhone-selfie-photography skills (cringe) yes I know, I need to get someone to start taking my outfit-of-the-day posts; I'm plucking up the courage to reveal my vanity to my friends, but it takes time. But let's talk about what you want to know, the outfit details. 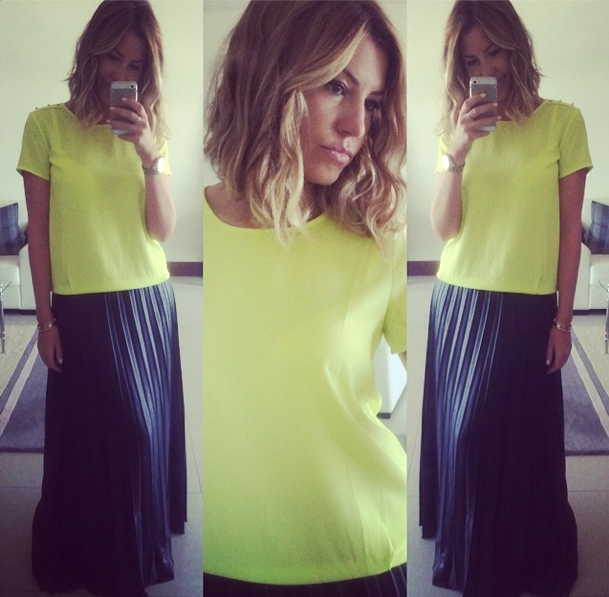 Both my top and my maxi skirt are from the store Koton. The top is a new purchase which I featured in my Vlog a couple of weeks ago and cost AED79. 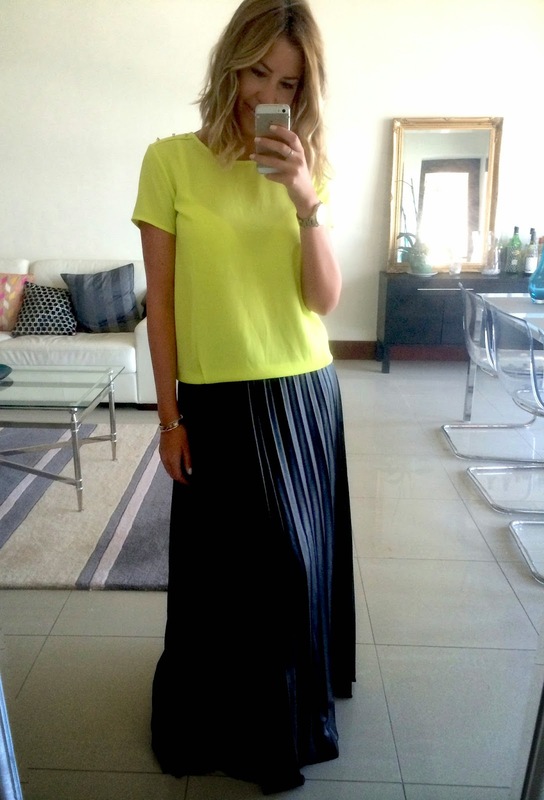 My skirt is last season (oh the shame) but my point of this post is that I am really lovin' neons with PU material. There is something outrageous yet balanced betweens this bold colour and shimmery fabric, that simply looks cool. Whether it is neon accessories with PU dresses, leggings, I love this pairing for an effortless street style look.